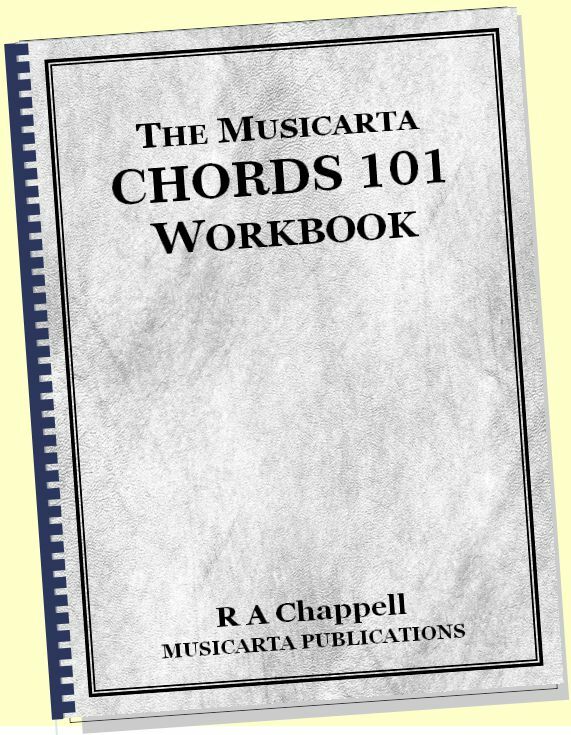 This series of Musicarta web pages shows you the best way to learn and practice the five types of seventh chord. 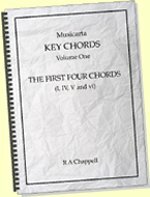 On Page One, you counted four types of seventh chord which occur naturally on the white keys- the scale degrees of C - and added the all-minor-third diminished seventh chord. What you discovered is summarised in this table. And the 'evolutions' in C and B flat. 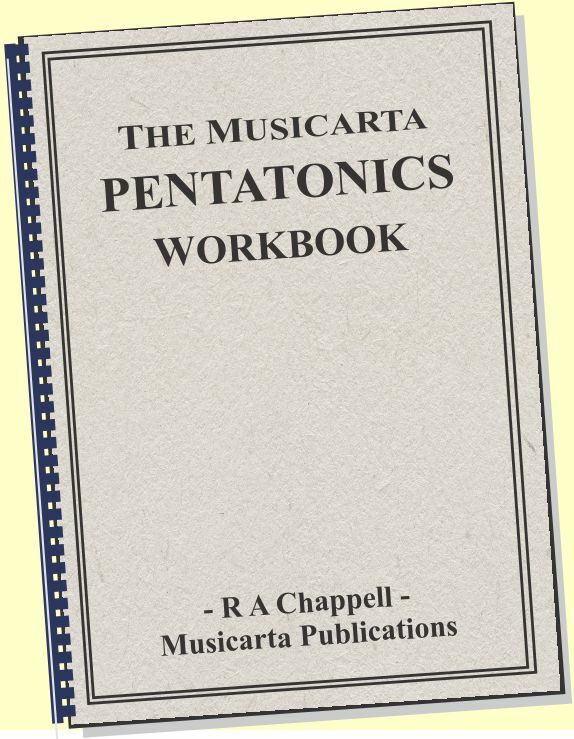 Now we are going to work through a drill for forming the five kinds of seventh chord on root C. Musicarta calls this series of seventh chords an ‘evolution’. 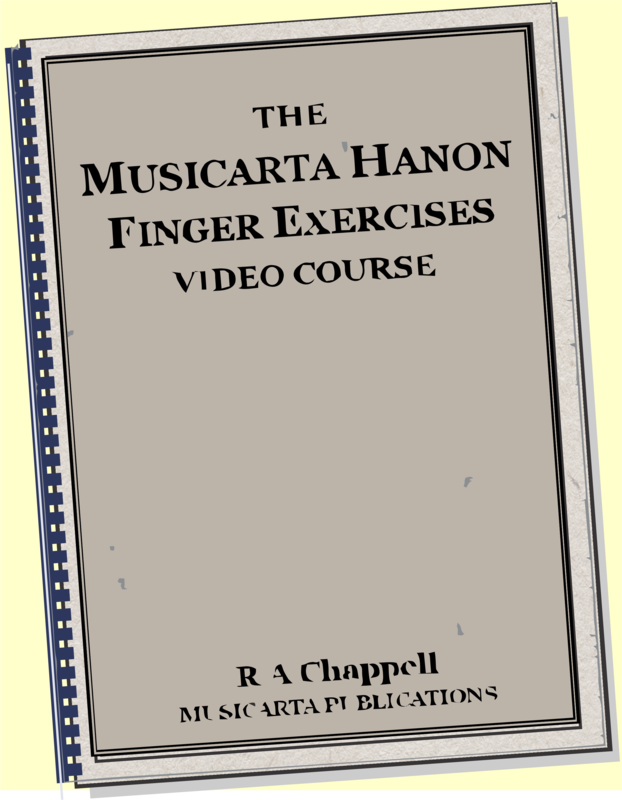 This drill starts from a four-note plain major chord (with the root repeated at the top). Then the chord tones are lowered one by one a semi-tone at a time until the chord has contracted to a diminished seventh chord - the smallest seventh chord. That last chord falls to a new major chord a whole tone lower - the B flat chord - and the start of another possible evolution. Here is the teaching video for the Seventh Chord Drill. Follow along. 1. You play the full C major chord. 2. You lower the top note a semitone to make a C major seventh chord. 3. You lower the top note again to make a ‘plain’ C seventh chord. 4. You lower the third of the chord to make a C minor seventh chord. 5. You lower the fifth of the chord to make a C minor seventh flattened fifth chord. 6. You lower the top note again to make a C diminished seventh chord. 7. You play a full four-note major chord on Bb, a whole tone below the C chord you started with. Go through this evolution at least two or three times. 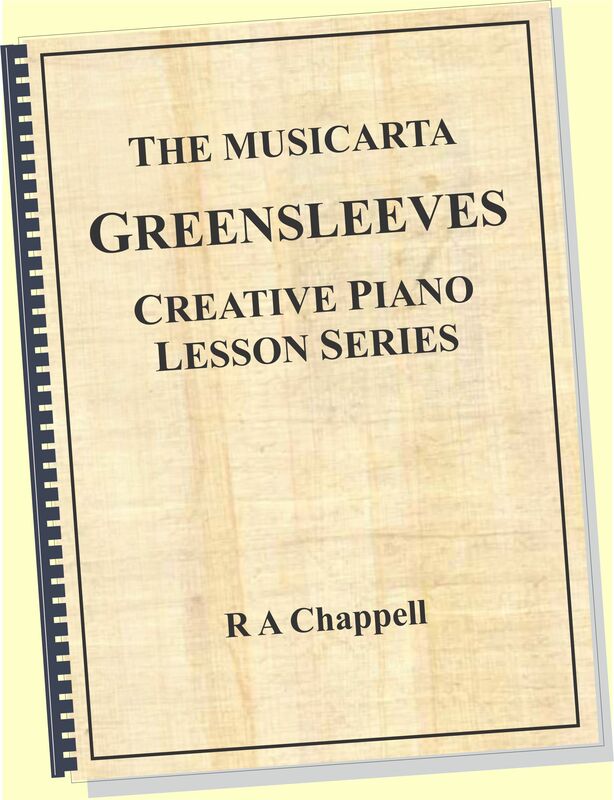 The music below shows the evolution in C written out conventionally for two hands. To better associate the sound of the chords with their names, say the type out loud as you play through the series. You can say these names to yourself if you want, but out loud is better. Before playing the evolution in B flat, study the following diagram. 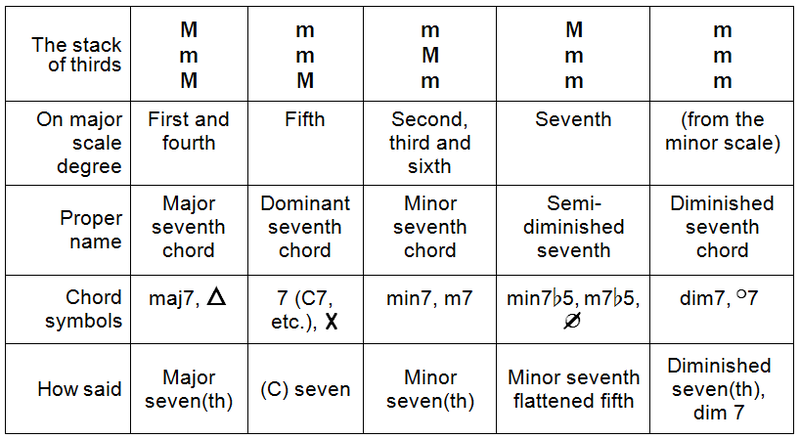 In root position, seventh chords are stacks of three thirds - either major (four semitones – designated M) or minor (three semitones – designated m). 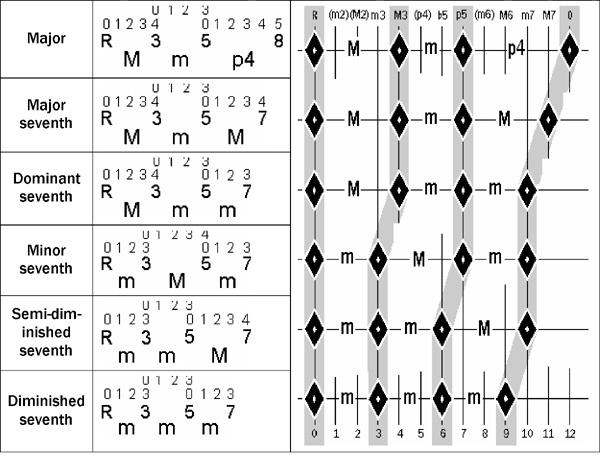 The sequence of five seventh chords on the same root plus the line-and-diamond diagram on the right above shows the chord ‘shrinking’ from the original full major as it goes through the various combinations of major and minor third. Look for that shrinking process as you play along with the video demonstrating the evolution in B flat. 1. Play the full Bb major chord. 2. Lower the octave a semitone to make a Bb major seventh chord. 3. Lower the top note again to make a ‘plain’ Bb seven chord. 4. Lower the third of the chord to make a Bb minor seven chord. 5. Lower the fifth of the chord to make a Bb minor seven flattened fifth chord. 6. Lower the top note again to make a Bb diminished seventh chord. 7. Play a full four-note Ab major chord (root a whole tone below). 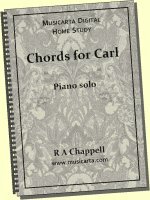 For a smooth run through the chords you need to know which voice (chord tone) is going to change next. Here is the line-and-diamond diagram with the about-to-move note circled. The notes move in this order. 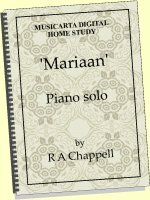 Top note falls from octave to major seventh. Top note falls from major seventh to dominant seventh. Second note up falls to a minor third. Second note down falls to a flattened fifth. Top note falls again to a diminished seventh. 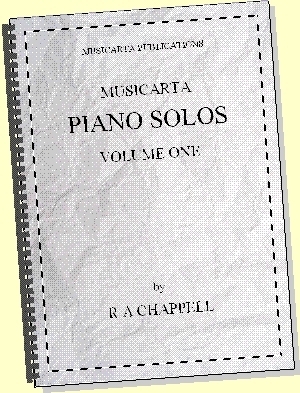 In order: Top, top, second note up, second note down, top. Play an evolution in A, following that sequence carefully. 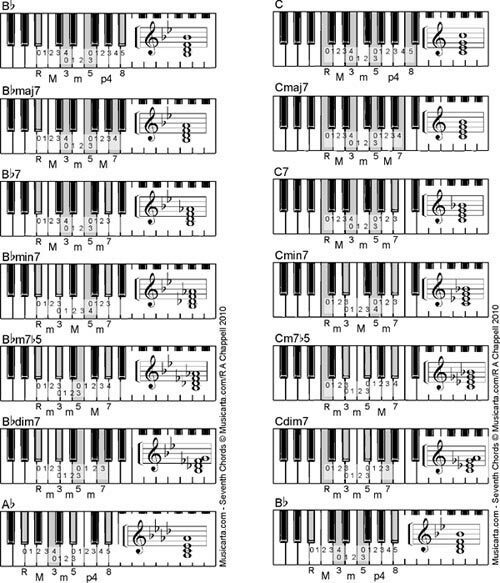 Try to play any series of seventh chords from one major to the next using just the diagram and dropping (from a four-note major chord) the top note, top note again, second note up (the third), second note down (the fifth) and top note again a semitone at a time. 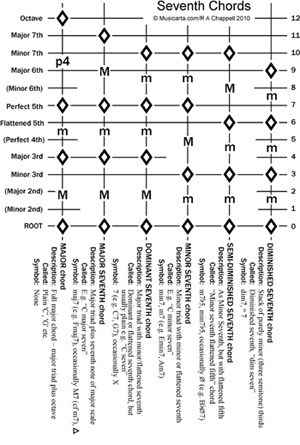 Say the seventh-chord qualities you arrive at each time. 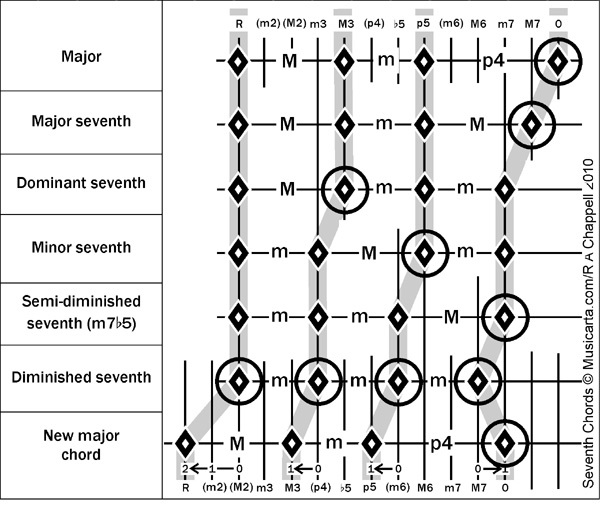 You would hope to start actually hearing the series of seven chords as you look at this diagram. You will probably have to practice to make it happen. You can prepare the way by just listening to the performances in this module with the diagram in front of you.